There’s been plenty of talk in recent years about how tech might revolutionize transportation—from self-driving cars, to things like Hyperloop One. At Moment, we wanted to develop a viewpoint on these future scenarios which we could take into conversations with potential transportation clients. In defining our approach, we realized that many of the transportation innovations being touted in the tech-sphere were still in early-stages, and were also heavily focused on solo travel. Which made us think: what about mass transit? With rising populations, increased congestion, and worsening environmental impact, was there a way to strategically deploy tech to improve the mass transit systems we already have? 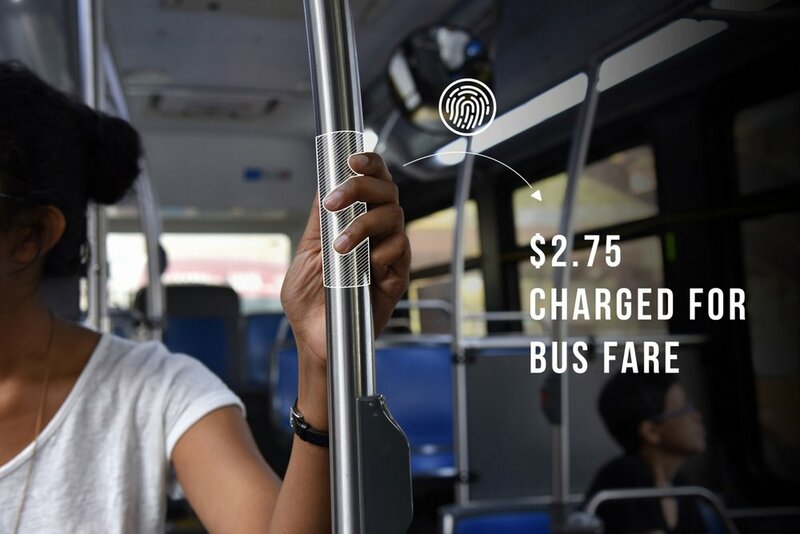 By incorporating certain advantages of personal transport into mass transit, we reimagined a very tangible future for urban transportation through five key scenarios: “Augmented Reality as an intelligent guide”, “Safer journeys for kids through built-in sensors”, “Fully responsive transit through data”, “Flexible currencies for a seamless ticketing experience”, and “Digital workspaces to reshape the commute.” Our work not only kickstarted conversations with organizations like the Port Authority of New York, but also piqued interest amongst designers looking to work at Moment. View the final project here. There’s thousands of ways in which you could improve mass transit systems. 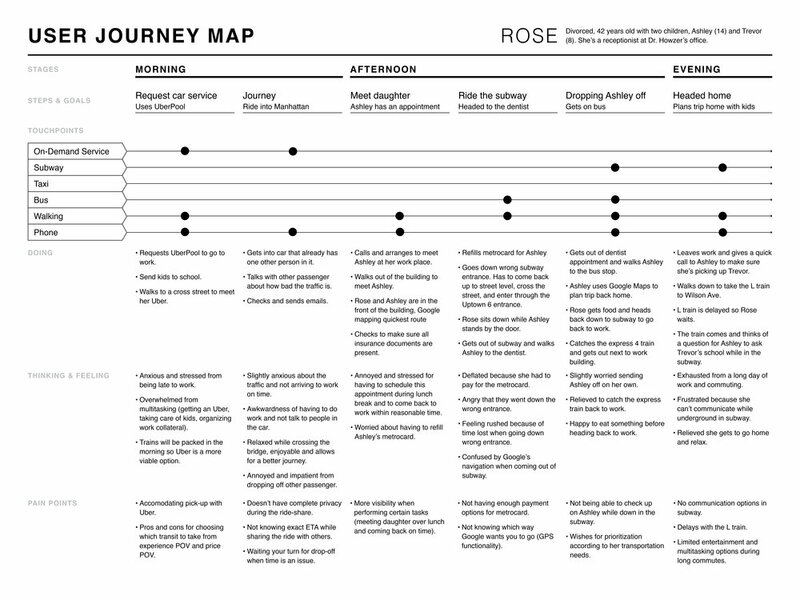 To narrow our focus, we talked to public transit operators and users in NYC and mapped out their pain points in empathy journeys. 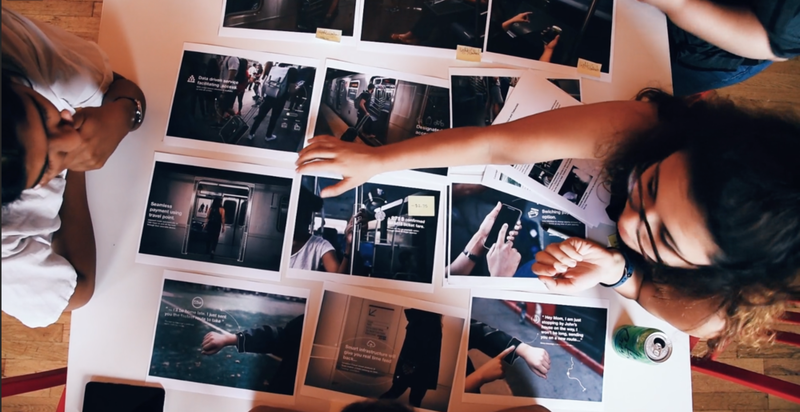 In looking across our empathy journeys, we identified five big opportunity areas for public transit innovation: Ticketing, wayfinding, safety & supervision, accessibility and on-the-go productivity. 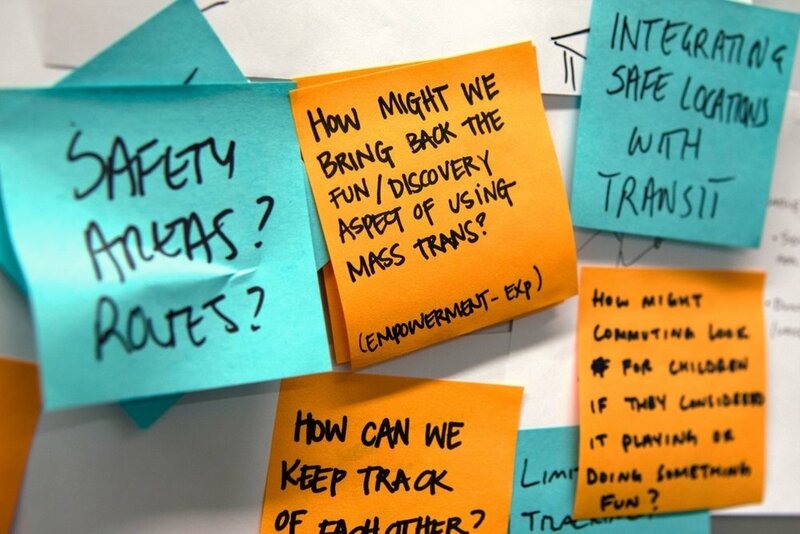 We sketched out numerous ideas for what the future of mass transit could look like, from practical near-term ideas (smartphone apps) to crazy futuristic ones (teleportation) and then distilled our final concepts into new and improved user journeys.